CURMUDGUCATION: Is School Choice At Odds With Community? A couple weeks back, Amy Lueck in the Atlantic took a look at how public high schools shaped communities in this country, depicting a relationship between school and community that certainly still looks familiar to those of us who live in ruralish areas where among grown-up adults, "Which high school did you go to" is still a legitimate conversational item and nothing much happens on autumnal Friday nights because football. Lueck also took a moment to suggest that school choice is a threat to the sense of community that US high schools have fostered for a century or so. As you might expect, some reform types took exception. Drawing the reformster rebuttal short straw at Fordham Institute was Brandon Wright, who took to the Fordham blog to say, "Oh, pshaw!" I can't say that I found it very convincing. None of these points are his best choice for arguments. I don't know that choice reflects a distrust of community goals versus individual ones, but it certainly values individual choices over community goals. "Why should I sacrifice my child to your public school?" is a common refrain among reform parents. I don't even think it's a terribly unreasonable one, though it is more compelling from something other than white parents using choice as a means of escaping Those People's Children. But choice is, of course, all about making the best choice for your own child, community be damned. That doesn't make you evil, but it does represent a shift in the relationship with the community school. And proponents are, of course, leaving for greener pastures. That's exactly the whole point of years of "students trapped in failing schools just because of their zip code" rhetoric. And of course choice is, while not always, often about abandoning the democratic model, as charterization almost without exception means the loss of any local representation of local control of schools. This is no accident; I'll refer you once again to Reed "Netflix" Hastings arguing that elected school boards should be done away with because they just get in the way. So all of this is pretty weak, disingenuous sauce, but it's meant to set up Wright's main point, which is that the community anchor school that Nueck is writing about can't be killed because it's already dead. Exhibit A is "most urban districts," like DC and New York City, both of which strike as noisy outliers. He also invokes Chicago, the city that "nearly doubled the number of public high schools available to residents." Wright doesn't offer a link to his source for that figure and I can't figure out where it comes from, even if he's including charter schools, but lots of folks will give you sources about the fifty schools that Chicago closed under Emanuel (a sequel to the many schools closed by Arne Duncan). Wright tosses in Democracy Prep as a charter that increased students' voter registration rate, which as context-free anecdote is nice, but doesn't prove much of anything. He also cites a study that shows choice producing more students with progressive views on diversity and who are less likely to commit crimes, however, that study from CATO (the libertarian thinky tank) is actually arguing that choice parents are motivated to seek out character education, so choice won't make society worse. So the finding is-- parents who consider character important raise children with better character. None of this has any real bearing on Wright's point, or Lueck's either. Holding socially beneficial values is not the same thing as holding strong community ties; you could, I suppose, argue that the real benefit of strong community ties is socially beneficial values and choice families just get there via another route, but it would be a tough point to make and Wright isn't trying to make it. He's just talking about apples and oranges as if they're fruit of the same tree. Instead, Wright falls back on that old standby-- public schools stink. Wright doesn't provide evidence of any of that, because he can't. None of those things is demonstrably true. Nobody knows how to measure for certain whether students are ready for college or career, so the schools regularly grant diplomas is unprovable. In no school anywhere do teachers encourage "everyone" to attend college. While CTE may be the new belle of the ball for many Reformsters, out here in the actual world, many, many, many school systems have had thriving career and tech ed programs for decades. And I don't know a single person anywhere in public ed who thinks a single kind of school even exists, unless by "single kind" he means "building made out of solid material where trained, certified professionals deliver instruction" in which case, okay, he's got us (but what the heck alternative is he proposing). 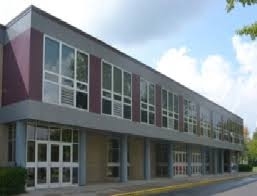 The vast majority of US high schools provide a wide variety of kinds of education in a single building, and each building reflects the concerns and emphases of its local community because democratically elected school board (and not corporate CMO board running the school from somewhere else). His strongest point (though he doesn't make it well) is that public schools have often failed to properly serve non-wealthy, non-white communities. That's a true thing-- consider the fifty schools that Chicago closed, whose student population was 90% black. But his "evidence" is that 38% of twelfth graders score below basic on the National Assessment of Educational Progress (NAEP), with a disproportionate number of those being poor, Black and Brown students. He also notes that college attainment numbers for those students is also low, as are college completion figures. The college stuff is a legitimate concern; the NAEP score is not (because what those students don't need is more test prep-- those test scores don't open doors for anybody). The public school system has earned criticism about its treatment of poor, Black and Brown students. But this is an old reform trick-- state the problem real hard, but gloss over any evidence that your solution does or does not work. Public schools have this issue. Do choice problems solve it? No. Choice programs show that, given the chance to select the students who will achieve, those students will achieve in your school. But choice programs also reduce available resources for those left behind. And none of this-- no one of it-- addresses Leuck's original point-- that high schools can provide an anchor for their community, and disrupting that anchor disrupts the community as well. The charterization of New Orleans didn't just disrupt public schools-- it ejected hundreds of black teachers, a middle class backbone of communities their, and splintered neighborhoods as children were sent in a hundred different directions. We know what the solution is-- give the underserved schools the resources that they need. It's simple, and cheaper and more efficient than trying to run multiple parallel systems. Wright nods to one other issue in his final paragraph-- choice requires an area big enough to support it. Once you get outside urban areas, Wright's arguments don't even make sense. I suggest that Fordham get at least one foot out of the beltway and set up a field office in rural area. Office space is cheap in my town. I understand your comment about funding for underfunded schools. But what about wealthy schools which intend to focus in equality but still fail? There are a few well funded schools out there with "good intentions". Because schools alone can't provide equity. You mentioned Oak Park before, which, as you say, is trying. But still, if you look at where the diverse students of OPRF high school come from, an awful lot of the white kids come from single family homes (mansion) in Oak Park and River Forest, while the majority of the black kids come from the cramped apartments along the eastern edge of the Village. And those black families are often working multiple jobs each just to afford to scrape by in Oak Park. While Oak Park does strive for equity to an extent, there is still a gaping chasm between rich and poor, and rich and poor tend to largely break down along racial lines. There's not a lot the school can do about that. Schools don't fail unless they fail to offer the opportunities of varied and enriched curriculum, HQT, multiple pathways for success, motivation, and support. After that, the students and their parents must take advantage of those opportunities. Sometimes the opportunities are limited not by funding but by the students themselves. A school cannot offer courses (AP) or programs (IB) if too few students are motivated to work hard. Truth be told, there are legions of lazy students happy to follow a path of least resistance. Blame the victim much, NYT? Yes, I suppose there are "legions of lazy students", but do you think those legions are unevenly distributed in poor schools? You don't think substantial numbers of rich kids are "lazy"? I do - I went to school with many of them. Yet we had honors and AP classes and electives and extra-curricular activities and everything else. Rich (white) schools have those things and poor (minority) schools don't. Guess that means poor minority kids are "lazy students", no? "Districts ignore promising career and technical education programs that help young people find gainful, secure vocations. And education professionals everywhere go on pretending that a single kind of school can effectively serve the varied needs of each and every child." Wow, that was a mouthful. The only thing I can think of to say to that is, I know you are but what am I? I mean, wasn't it rephorm that killed the vocational schools? Wasn't it rephorm that made standardized testing the god of education? Cripes, the chutzpah of these people! Student A (let's call her Emily) lives next door to the Cheney Mansion. Her father is a doctor, her mother stays at home her and her younger siblings. The family has a maid and a cook, so Mom's full time job is to take care of the kids. If Emily is struggling with math, the family can afford a tutor. They can also afford designer clothes, violin lessons, lacrosse team and annual vacations to Vail or Europe. Emily has never known hunger or homelessness in her life. Student B (Amber) lives in a two bedroom apartment across the street from the Austin neighborhood with her single mom and three younger siblings, for whom Amber is responsible most days because her mother works two jobs. Amber herself works 20 hours on weekends to help pay the bills. As a child, Amber was homeless with her mother for a period of time after her mother left her abusive father. Amber didn't have adequate food or clothing during that period and still her clothes are a little threadbare and sometimes they have cold cereal for breakfast. Amber's lucky to have a few minutes a night to jot off a bit of homework before she falls asleep exhausted, having to get up at 5:00 the next morning to do it all over again. What do you think OPRF should be doing to give Amber the same opportunities as Emily and make sure she takes advantage of them? "So I ask again, are there any schools with rich and poor kids where the poor kids are not slipping through the cracks? It seems fancy facilities and well paid teachers aren't enough." This is a critically important question you are asking. I believe that the vast majority of students stuck in the grip of generational poverty and dependence have little motivation to escape. The evidence for this is overwhelming. Amber and Emily have the same opportunities but not the same support system. Many school districts now offer a myriad of academic support programs; pre-school, summer academies, homework help, after school programs, tutoring, academic intervention classes, and more. It impossible for a school district to make up for the stress and neglect produced by poverty and absentee fathers. By the end of 8th grade a student is about 122,000 hours old and they have, given perfect attendance, spent only 9,000 hours in school. Over 90% of a child's time up to age 14 is in control of their parents - not teachers or coaches. Much of school success has to do with forming habits that make it happen. I'll leave it there. "Amber and Emily have the same opportunities...."
When has Amber had the opportunity to take violin lessons or play lacrosse or go to Vail or Europe? When has she even had the opportunity to excel in school, considering her responsibility to her siblings and her job? Heck, she hasn't even had the same opportunities to eat regularly, be properly sheltered or spend time with her family. That's precisely the point. Amber can never have the same opportunities as Emily and it's completely unfair to put the burden for that on OPRF or any other school. And your putting everything on "forming habits" is pretty grotesque. I had a lot of classmates who formed habits like getting high and/or drunk, but they succeeded quite nicely in school because they had wealthy influential parents who made sure they did. None of them would be able to cope a day with the habits kids like Amber have to develop like getting up at 5:00 a.m. daily, taking care of younger kids, and contributing to the household budget. But despite the habits Amber has been forced to develop, if she can't get her homework done because she's up all night taking care of a sick kid or getting stuck working an extra shift, she's not going to succeed in school. I went to a school that had plenty of opportunities, but at 16, I didn't know how to make the most of them. At 32, I have plenty of ideas, but I've had years to mature. Now I know what I would do differently, and I expect that's true of many. Expecting old heads on young shoulders is probably not going to happen. NY teacher is right that many kids want to follow the path of least resistance, but we should still work on making schools decent and filled with opportunities. Some kids will never take those opportunities, but you will certainly reach more than if those opportunities are not available. Of course, it would probably be better if we didn't have so many people living in dire straights, but that won't be solved by schools alone. Dienne, that is the burning question in Oak Park right now. By the way, I lived that life you described almost exactly....but three blocks away on Lombard. Family trauma is a stressor that almost no one can endure without it taking a serious toll somewhere. I am asking people like Peter and others to give some comment on this. Many black families are choosing private schools in Oak Park. When they write to the local paper to explain their perspective, no one comments. If you want to address the equity gap, you need to address family trauma and single parent homes in poverty. Howevever, I must add that many of the wealthiest students were suicidal so that is also a tragic side of the story. I will go a step further. As a kid in that environment, I knew I was sub-par. There were many high profile social justice activists whose kids I knew and sometimes hung out with. The parents would often question me with probing questions about my perspective. They wanted to "hear" my perspective. But I also knew that due to my disastrous family, I was beneath them. They would never say it but it was clear. They liked to pity people. I never gave off a vibe of wanting to be pitied. I was too busy trying to find a way out of hell. But their whole orientation was towards pity for injustice. I just don't believe in simplistic theories about anything. Oak Park has to face itself...and only then will the struggling students find school to be the opportunity it is supposed to be. I think Oak Park needs some humble pie. Stop saying how great you are and face yourself. Acknowledge that all the moral platitudes don't mean jack to people battling it out in the arena of life. Money doesn't fix everything. Great teachers aren't enough. Fancy buildings don't change a thing. A society living with chronic trauma is who we are. Maybe the competitive value system is one thing that can get sidelined...and maybe people can start to heal. If schools want results, then address the source of the problems. If a school isn't equipped to do that, then be honest. I think we are more or less in agreement. I absolutely hear you about the social justice types who would rather pity than really see, befriend and work with people in poverty. It's easy to proclaim your social justice bona fides. Much more difficult to live them. And, no, the solution is not easy but it is something that has to be confronted, especially in a "liberal" place like Oak Park. It can't come just from the schools. I really appreciate your raising these questions and the comments you've made. And not every family opting out is dealing with dire poverty. The climate of the school is the issue. "It's simple, and cheaper and more efficient than trying to run multiple parallel systems." But do cheaper and more efficient bring in the big fast bucks? In an honest discussion, one cannot argue against the existence of a Black, ghetto culture that makes out-migration (escape) very, very difficult. It is a culture predominated by generational poverty, government dependence, single mother families, government housing projects, drugs, crime, stress, insecurity, unsafe neighborhoods, high levels of unemployment and male incarceration, and under-education. It is a culture that breeds despair, hopelessness, distrust, and I believe, acceptance. The creation and perpetuation of the Black, ghetto culture is directly linked to the great northern migration, residential segregation/federal housing policies, deindustrialization of the cities, white flight, prejudice, discrimination, institutional racism, ensuing poverty/dependence, destabilization of the family unit, absentee fathers, drugs, unjust law enforcement practices (racial profiling/brutality/mass incarceration), and limited, low wage job opportunities. Expecting public schools to somehow override the societal forces that keep millions of poor Blacks locked in poverty is asking for miracles. Is anyone surprised that standardized testing has failed to become the 21st century civil rights movement? Can we try economic hope? When I hear about "Black ghetto culture" without also hearing about systemic racism and the trauma of generational poverty, I know I'm dealing with a racist and I stop reading. Peter...not expecting this to be posted...when I replied las time, I meant to say my life was almost exactly "Amber" from Austin (scarily close)....I am not sure if I mixed them up. And I will add this: one of the four of us kids didn't "make it". The trauma was insurmountable. Homeless for the past 30 years. My questions are sincere. I read what you write because I care about people and I want to know how you think. I sometimes feel it may helpful to you to get different perspectives. And nuance does matter.